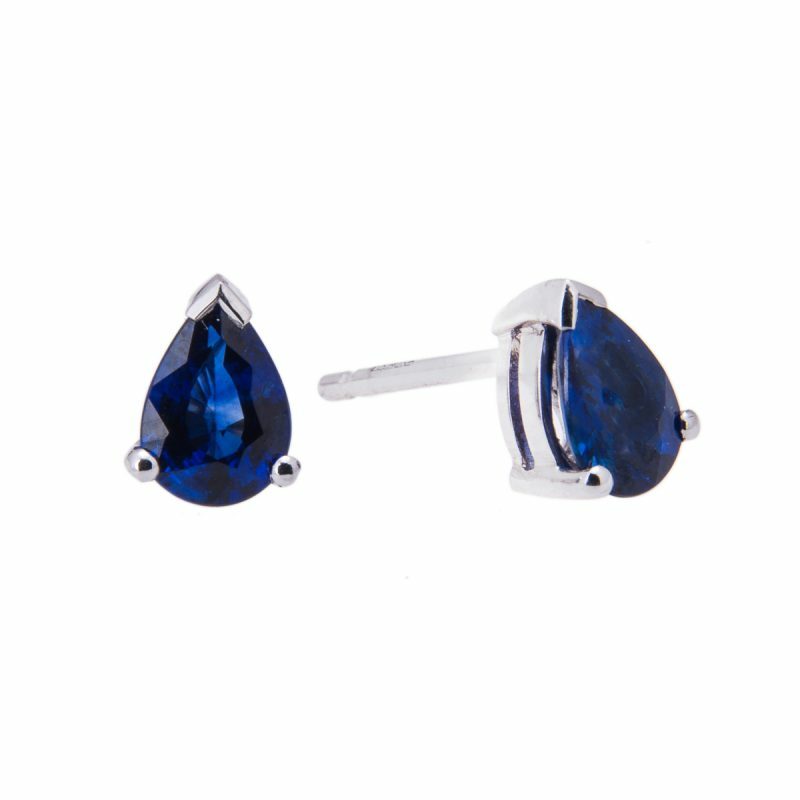 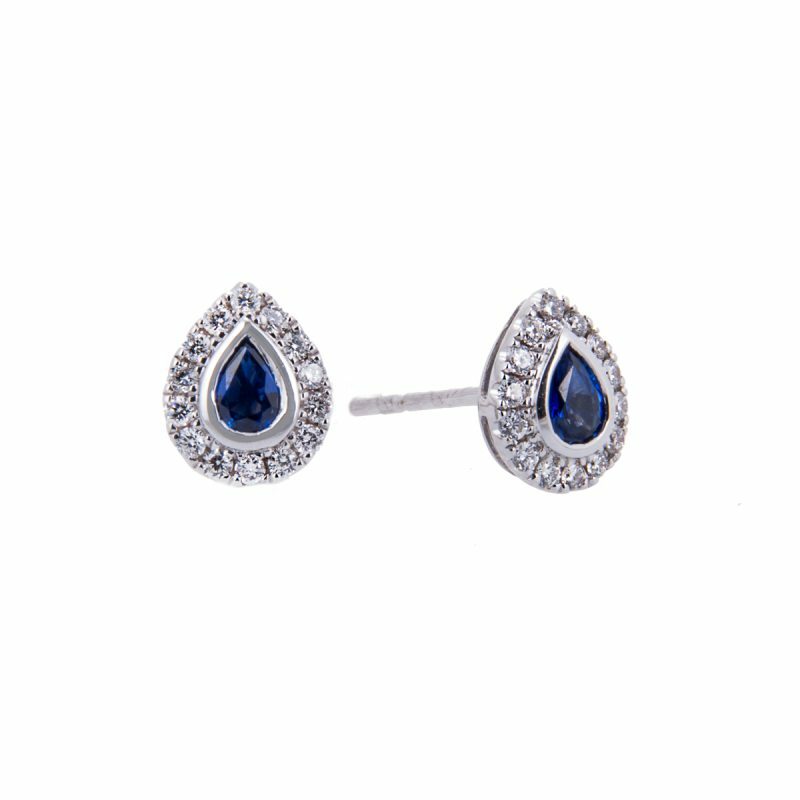 18ct white gold and sapphire together create these perfect stud earrings. 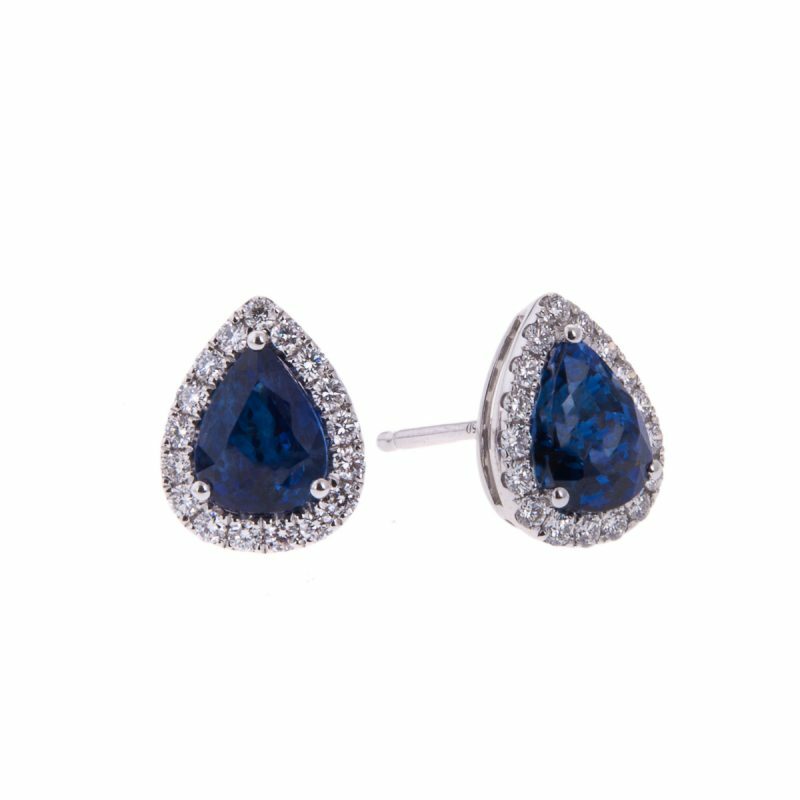 Each mounted with a central oval cut sapphire chosen by our experts to make a perfect centre piece, guarded by a row of brilliant cut diamonds. 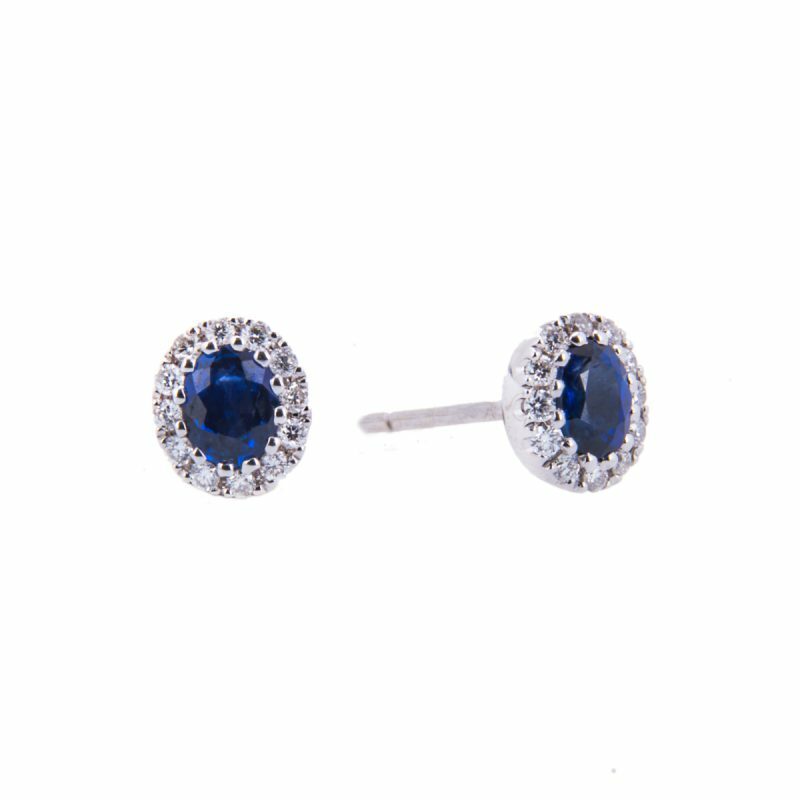 All mounted in a fine claw setting with post and bitterfly fittings. 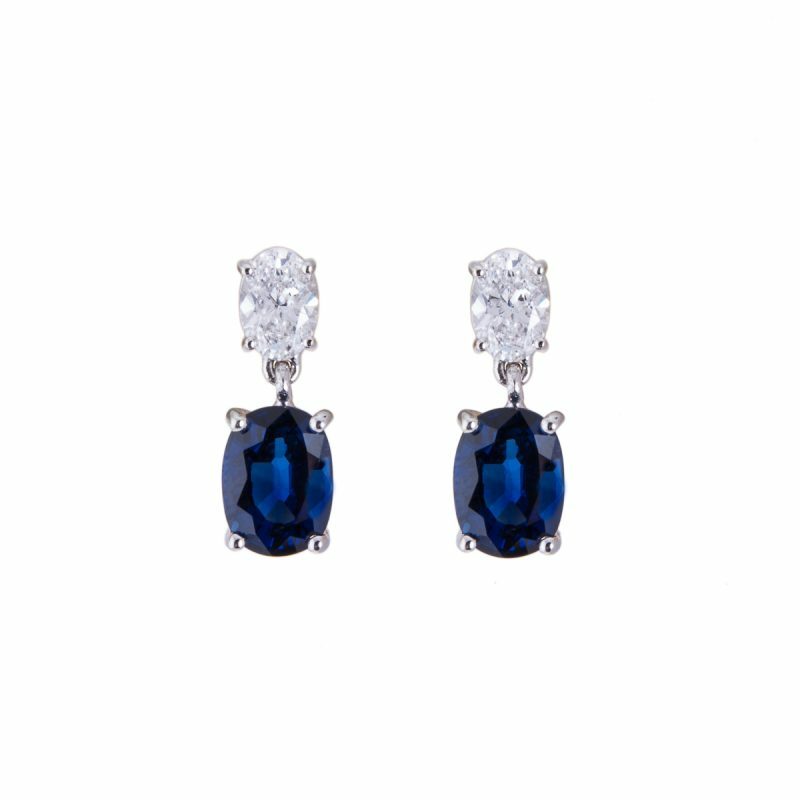 Such earrings spans the generations and are a perfect choice for someone looking for a classic, timeless design that allows the natural beauty of the sapphire to speak for itself.